We looked at the top 10 Air Purifiers and dug through the reviews from 88 of the most popular review sites including New York Times Wirecutter, HighTechDad, Breathe Quality, BestReviews, Tech Gear Lab, Top Ten Reviews and more. The result is a ranking of the best Air Purifiers. Our experts reviewed the top 10 Air Purifiers and also dug through the reviews from 88 of the most popular review sites including New York Times Wirecutter, HighTechDad, Breathe Quality, BestReviews, Tech Gear Lab, Top Ten Reviews and more. 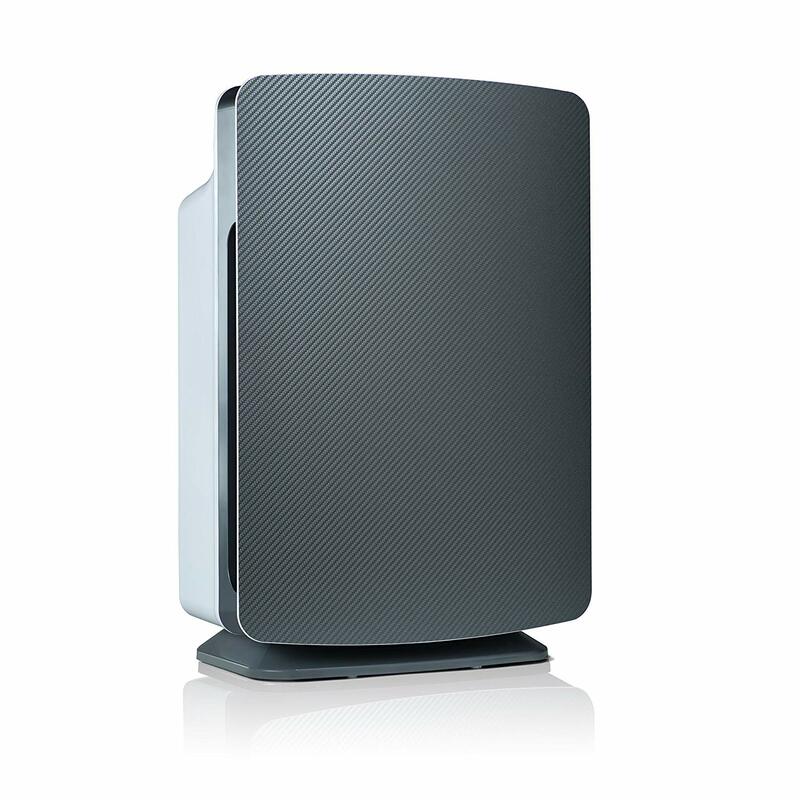 The result is a ranking of the best of the best Air Purifiers. For living rooms or wide open office spaces, the Alen BreatheSmart comes in as one of the best bets — in fact, it's the No. 1 overall recommended product. Efficiency is one of the biggest draws for this one, thanks to a Smart Sensor that not only keeps you apprised of the air quality but adjusts the fan speed to fit the job. DWYM Home Experts plus BestReviews, Top Ten Reviews, The Air Geeks, Blooming Air. Along with user reviews from Amazon and Best Buy.
" Stands out for SmartSensor technology that adjusts airflow automatically to best remove impurities. Lifetime warranty." "The optional ionizer can be harmful to lungs, especially if you have breathing-related issues." The relatively low price point on the Coway doesn't mean it's short on features. This compact unit supplements its HEPA filter with a bipolar ionizer and two additional filters, making it especially attractive to the allergy-prone. This is the purifier to get when you have a medium-to-small size area that you need reliably clean. DWYM Home Experts plus Top Ten Reviews, New York Times Wirecutter, Tech Gear Lab, Healthy But Smart, Digital Trends, Engadget and 4 more. Along with user reviews from Amazon.
" 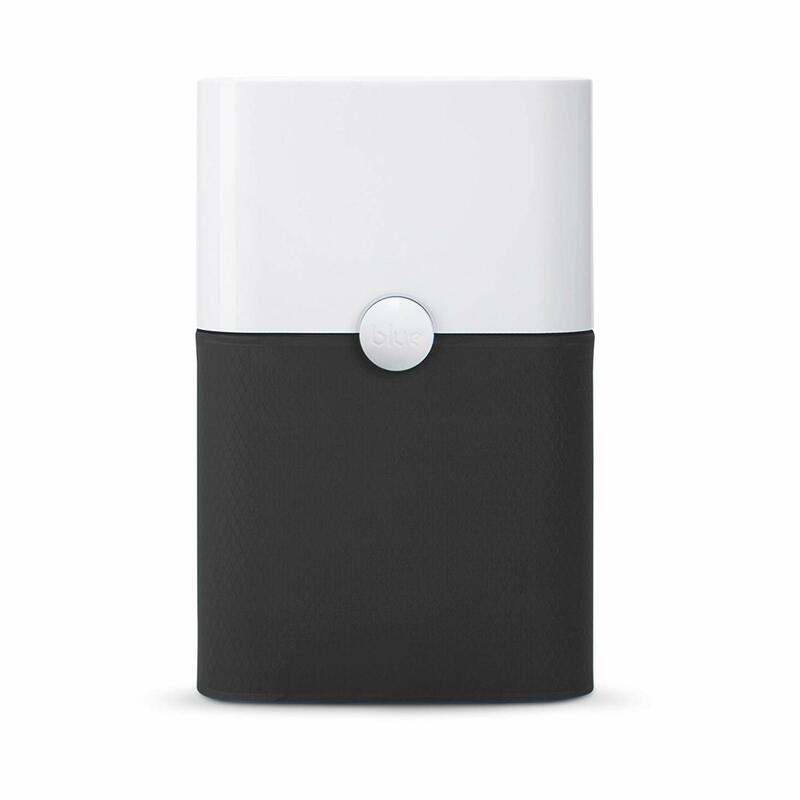 This is one of the smallest air purifiers, making it easy to move from room to room as you need." "The chief complaint, and one we’re not alone in making, is that the Coway’s “air quality indicator” light, on top of the unit, is ridiculously bright, cannot be shut off, and interferes with sleep." A slightly pricier option, but justified for the extremely allergy prone, or those who need to scrub the air clean in a smoker's den. The IQAir HealthPro's HyperHEPA filter is indeed a cut above, filtering out particulate matter down to .003 microns. And while it's bulky, the purifier's effective range is good enough for the largest room in most any home or office. DWYM Home Experts plus BestReviews, Gadget Review, Fresh Air Guide. Along with user reviews from Amazon.
" Its state of the art technology is used in hospitals to kills the widest range of airborne germs." "A little too bulky – users unable to perform their own maintenance may require assistance"
The GermGuardian does solid work without a lot of bells and whistles, at least on the outside. It's easy to use and replace the filters on, but the extra charcoal filter (and optional UV-C light) make it equally good at trapping odors and allergens. And with a low power consumption, it's ideal for heavy use in medium-sized rooms. DWYM Home Experts plus BestReviews, The Spruce, Healthy But Smart, The Air Geeks and 1 more. Along with user reviews from Amazon and Best Buy.
" An affordable option from a trusted name in the industry. This model effectively reduces pollutants in rooms up to 390 sq. ft. using HEPA filters that are easy to install and inexpensive to replace." "One of the major downsides to the GermGuardian AC4825 is that there is a little window at the top that lets the UV light shine through. This blue light is really distracting in a dark room. 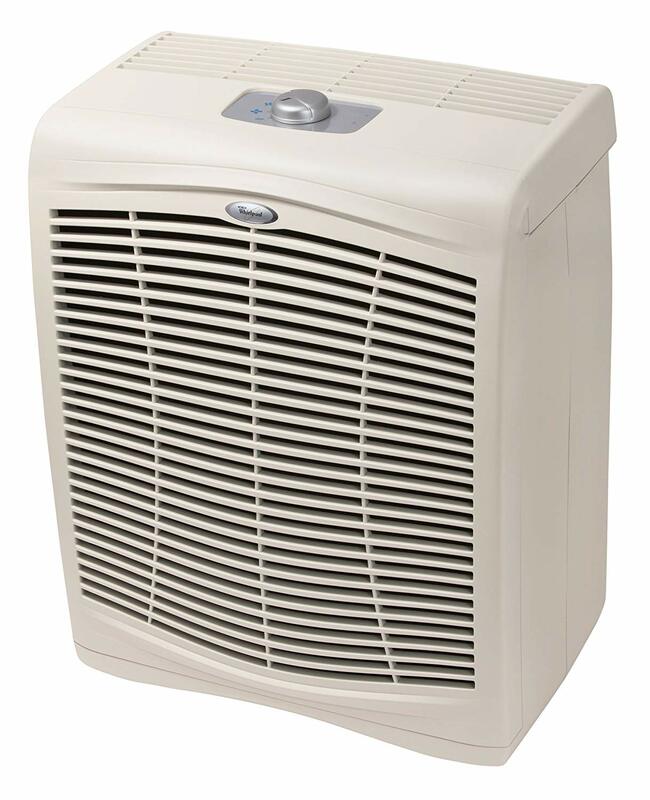 It is not ideal..."
We identified the majority of the air purifiers available to purchase. 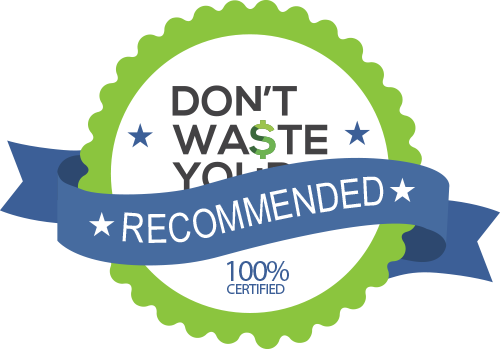 Reviews from our DWYM category experts and analysis of some of the most respected sources including: New York Times Wirecutter, HighTechDad, Breathe Quality, BestReviews, Tech Gear Lab. Stands out for SmartSensor technology that adjusts airflow automatically to best remove impurities. Lifetime warranty. The BreatheSmart has a sophisticated filter monitor and air sensor, which helps this model clean pollen and dust in mid-size to large rooms. The BreatheSmart comes in different colors and offers different filters to meet the unique preferences of different users. The greatest thing about this product is that it is very easy and simple to use. The optional ionizer can be harmful to lungs, especially if you have breathing-related issues. The true HEPA filter is capable of capturing a greater percentage of airborne pollutants than an ordinary HEPA filter. However, the noise is something that comes with most of the product that has a powerful fan. An affordable option from a trusted name in the industry. This model effectively reduces pollutants in rooms up to 390 sq. ft. using HEPA filters that are easy to install and inexpensive to replace. The GermGuardian removes most of the contaminants in the air. Its 3-in-1 filter design makes it possible for the purifier to get rid of particles, germs, and odor from the air. 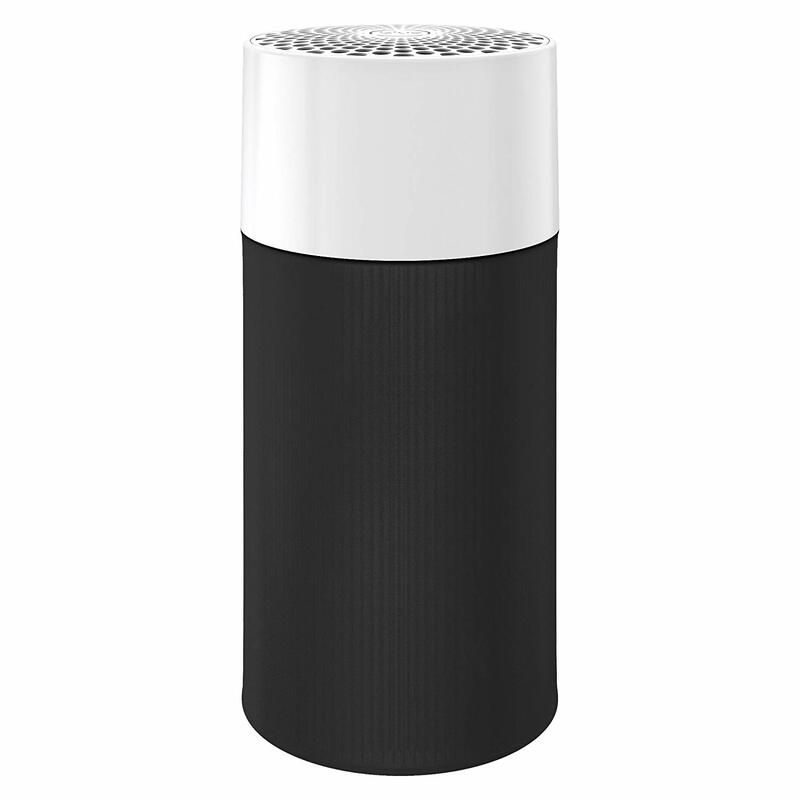 This top-rated air purifier from Honeywell is effective on particles as small as .3 microns, and it will capture things like pollen, dust, mold, pet dander, smoke, and germs. Changing the filter is very easy and doesn’t require any tools. Its 3-in-1 filter design enables it to remove particles, germs, and odor from the air. A few units have been known to rattle, but this isn't a consistent problem with the entire product line. The air cleaning effectiveness is lower when the air purifier is placed in relatively large rooms. One of the major downsides to the GermGuardian AC4825 is that there is a little window at the top that lets the UV light shine through. This blue light is really distracting in a dark room. It is not ideal for trying to watch a movie or sleep. Their air cleaning effectiveness is lower when the unit is employed in relatively large rooms. The reasons for buying an air purifier can be as numerous as the number of pollutants in the air — and indoors, that number tends to be bigger than most people would expect. Despite the best efforts of the filters in our air conditioners, pollen and dust particles can settle into carpets and upholstery. Mold spores can grow in moist areas. And if there are pets or smoke involved, expect dander and carcinogens to be part of every breath. Whether you suffer from allergies or just want to eliminate the smell associated with all this particulate matter, a good air purifier can be an essential accessory in any room. But how are they different from the filters we already have in our regular AC? All that depends on the purifier. Most models circulate air through a HEPA (High-Efficiency Particulate Air) filter, and often more than one. HEPA filters are certified to trap particulate matter as small as 0.3 microns, which covers dust, pollen and most bacteria. Purifiers like the IQAir HealthPro Plus boast a medical-grade Hyper-HEPA filter that will go down to 0.003 microns — enough to pick smoke out of the air. In conjunction with this, the more high-tech air purifiers can employ an extra line of defense. The Germ Guardian uses an optional UV light that renders many micro-organisms sterile, and an activated charcoal filter that can actually pull in and neutralize toxins through electrostatic attraction. 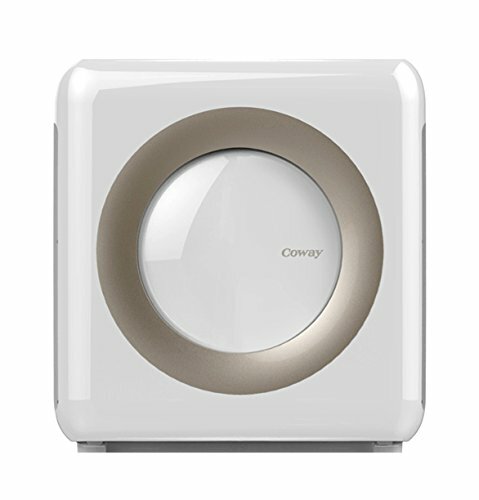 There are also models like the Coway Mighty Air Purifier that can ionize incoming particles, which are then sucked in by metal plates or other treated substances. A word of caution on ozone, though. While they’re less common these days, some air purifiers generate ozone, which, according to the manufacturers, can deodorize and disinfect the air. The jury is still out on those claims, and in fact the presence of ozone in confined spaces can be more harmful than the pollutants you’re trying to get rid of. For a measure of general effectiveness, you can look for a rating on most air purifiers called the CADR — Clean Air Delivery Rate. It’s a number that represents the cubic feet per minute (CFM) of air that has been cleared of all the particles of a given size. These ratings are recognized by the EPA and can be found on most devices. If you can’t find them, the number is fairly easy to calculate: Just take the CFM on the air purifier and multiply it by the percentage of a certain particle (smoke, pollen, etc.) that the machine can remove. That air purifier humming away in the corner of your room may look tranquil, but it was initially created for military use. The HEPA filters that are so common today were first employed to keep lab workers safe at the Manhattan Project, the 1940’s scientific effort that led to the creation of the atomic bomb. Back then, scientists were less concerned with their ability to keep their allergies in check. They were using the filters to block out as much radioactive material as possible. One of the first things you’ll want to consider when buying an air purifier is the kind of room you’ll be using it in. When it comes to price, this is usually the primary factor. A workhorse unit that can handle an entire living room and kitchen (the IQ Air HealthPro Plus, for example) is going to run you significantly more than a machine that’s meant for a home office (the Coway Mighty) — for good reason. Are you looking for protection from allergies or just need to freshen up the air? A quick look at the specs for the purifier should tell you what particles it can effectively remove from the air. Again, a HEPA filter is going to do the trick for most common irritants and odors, including pet hair and dust. But if you live in a smoker’s house, look into something more robust. Much like your air conditioner, you’ll likely be keeping an air purifier on for as long as you plan on breathing the air in that room. In a lot of cases, that might be all day, so power consumption matters. Frugal users might want to check out the wattage specs on prospective models. There are also features that can mitigate that electricity drain, such as timers. In most cases, your air purifier won’t be running all the time. It’ll cycle the air through a few times an hour, and you can adjust that number more or less with most models. The Alen BreatheSmart does one better, with a handy sensor that measures the air quality in the room and automatically adjusts the fan speed and cycle time to match its needs. Another thing to figure into your price point are the filters. Like your AC, there’s upkeep involved. Check not only the price of your filter, but the frequency with which you’ll need to replace it. Since they’re meant for indoor use, most air purifiers are better looking than, say, that wall AC unit you had in your dorm room at college. That said, few people want them as the focal point in a room. If you’re getting one for a small room, you likely want a small purifier — or at least one that’s nondescript. Sleekly designed at less than 17″ x 19″, the Coway Mighty fits the bill on both counts. 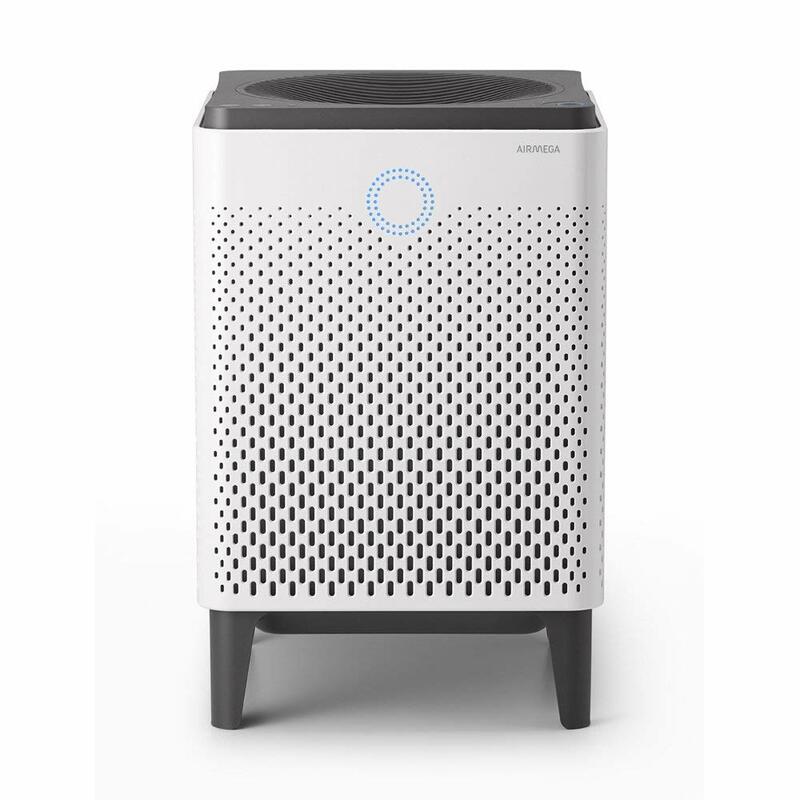 For the Air Purifier category, we analyzed 88 of the most popular reviews including reviews from New York Times Wirecutter, HighTechDad, Breathe Quality, BestReviews, Tech Gear Lab, Top Ten Reviews and more. The result is a ranking of the best Air Purifiers.